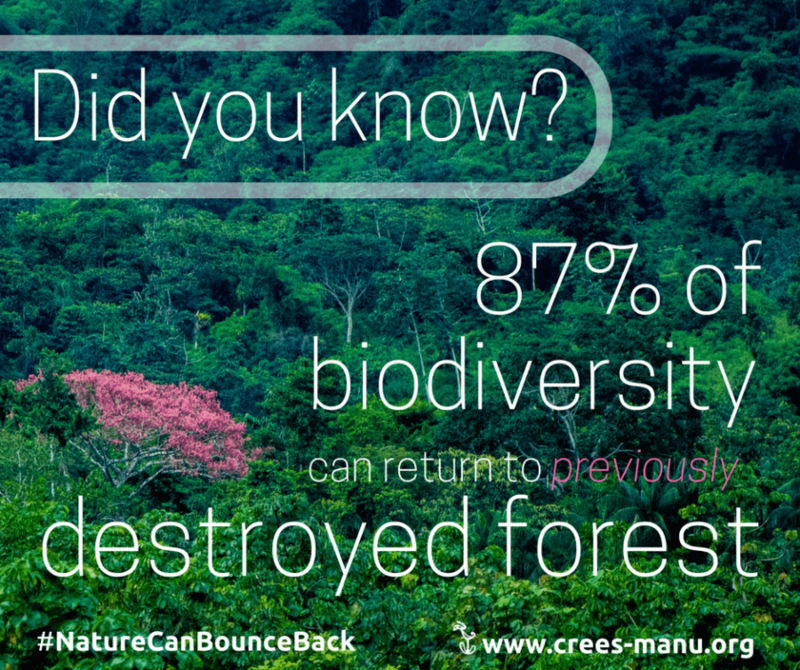 What’s the biodiversity value of regenerating rainforest? Only 37% of forest worldwide is considered to be primary, meaning the rest has been impacted by people – logged for its valuable hard wood, cleared to make way for agriculture and cattle ranching, destroyed for mining of gold, oil or gas. Despite this destruction, there is still hope. The potential biodiversity and conservation value of regenerating forests is debated by scientists, but a new paper produced by Dr Andrew Whitworth (former research manager at Crees) and colleagues shows that high levels of diversity can return to a forest. His team’s research was carried out here at the Manu Learning Centre (MLC), a protected area that sits within the Manu Biosphere Reserve. 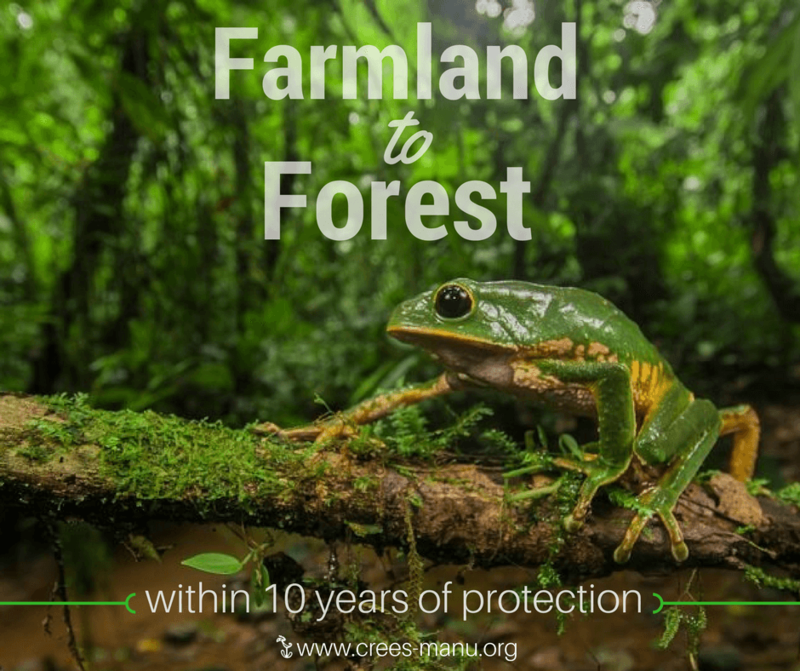 They chose this site because of the length of time the forest has been regenerating, from 30 to 50 years, and the fact that it has been protected from logging, hunting and other human disturbance. They found that biodiversity of MLC’s regenerating forest was higher than might have been expected, reaching 87% of primary forest alpha diversity and an average of 83% of species estimated to have occurred in the region before disturbance. The paper, titled How much potential biodiversity and conservation value can a regenerating rainforest provide? A ‘best-case scenario’ approach from the Peruvian Amazon, states that the forest here at MLC contains 37 species of special conservation concern, representing 88% of species of highest conservation importance predicted to exist in primary forest from the region. There is no doubt that preserving primary forest is essential. But with such a high percentage of forests in a state of regeneration, it is great news that these results suggest that under a best-case scenario of effective conservation management, high levels of biodiversity can return to heavily disturbed tropical forest ecosystems.